The colors are part of a website’s identity and their customization is important. 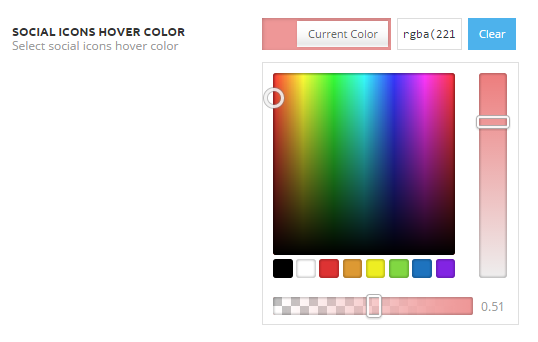 Our color picker supports Hex codes (like #FA4FBCA), and RGBA (like rgba(213,152,65,0.4)) and it has sliders for transparency and color intensity. The main difference between them is that RGBA has a transparency value, while Hex Codes do not. 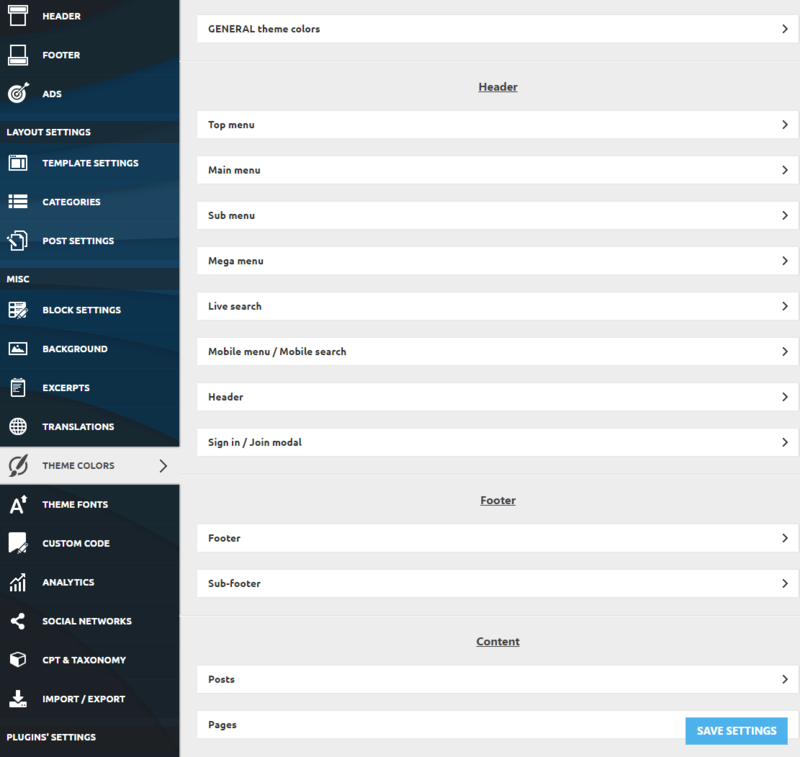 General theme colors – Set or change colors for Theme accent (hover, links, buttons, Ajax load animation color) and Background. Header section – This area allows you to set or change colors for Top Menu (Background, Top menu text, Top menu text hover, Social icons, Social icons hover color), Main Menu (Menu background, Active and hover, Menu text color), Sub-menu, Mega menu, Live search, mobile menu, Header background colors as well as the sign-in modal background colors. Sub-footer – This section allows you to change the sub-footer background color, text color, and footer menu hover colors. Content area – This section allows you to add or change color for posts (title, blocks, author name, text, blockquote, and H1, H2, H3, H4, H5, H6 Color) and pages (title, text and H1, H2, H3, H4, H5, H6 Color). Note: When you set a color as the background, your website will automatically change to the boxed version.